For Adults with ADHD it can feel like many days consist of putting out one fire after the next. If this is true for you, maybe you have been operating this way for a long time. So, you don’t know there is another way. And, if you want to stop operating this way, one key strategy is implementing more buffers in your day — time you need to slow down, think, center yourself and just be. While it may sound counter intuitive at first, once you try it you’ll find creating more buffers will help you be more productive. In order to really get why buffers are so critical for ADHD Adults you need to understand how not managing transitions can get in your way. Think about the challenges you have starting, stopping and switching between tasks. getting out the door in the morning? fully engaging in one meeting after just completing another? stopping tasks to move on to others? focusing on a conversation while you are thinking about something else? stopping work when you say you will? One solution to doing each of the above better is learning how to manage the transitions — the time between activities or tasks. Because, if you can do this better, rather than getting stuck grinding your gears, you will move through your day more effectively, save time and get more done. Because estimating time is a challenge for Adults with ADHD determining how much time you need to get places is tricky. In fact, you may often underestimate the time needed. I know you already know this. To counter this try overestimating the time needed by 50% to ensure you will get places on time. But, as I write this, I can hear you asking, “What do I do if I get there early? !” Because, like many Adults with ADHD, you don’t want to be bored or waste your time. After all you have a lot to do, right? So, bring something to read or do. And with the extra time you can also center yourself, rather than sliding into home base at the last minute, flustered. As an Adult with ADHD random thoughts, such as tasks you need to do, will pop into your head throughout the day. And you may try to do the tasks as soon as you think about them. Maybe it looks something like this. You are just about to leave your house, and you remember you need to take out the recycling. You don’t want to try to remember to do it later, and you think you have time. But, as you take out the recycling, you drop it and a glass breaks. The dog starts running all over. You corral the dog, and then clean up the glass. Telling yourself it will only take a minute sounds convincing, doesn’t it? But it always takes longer. Then write it on your task list and stay focused on your intention so you can avoid the slippery slope of the one more thing syndrome. Like many Adults with ADHD, when you are juggling a lot and feeling overwhelmed, you may be inclined to go faster. Partly this is due the tsunami of thoughts swirling about in your head, “I have to do this and that and…” And, in part, this is also likely due to your desire to get everything done. But I’m sure you’ve had experiences where going faster is actually counterproductive — it cost you time and energy. spilled coffee on your desk. left your credit card someplace after a purchase. misplaced your keys while leaving a meeting. left your wallet on the table at a restaurant. gotten in a car accident. You get it. Sounds familiar, right? Another challenge for you may be trying to do more than one thing at a time — multitasking. You may think in the moment you can get more done this way. being less productive as you switch back and forth between tasks. losing time to distractions because, as you transition back and forth, it is more difficult to tune them out. making more mistakes, and then spending more time fixing those mistakes. not doing the tasks as well as you would like. This is one area where the research is unanimous. Multitasking does not work. set a timer to work on one task. write down thoughts and tasks that come to mind while you are working on a piece of paper next to you so you will be confident you won’t forget them later. One thing at a time is the way to go. Taking time to think and plan is one of the most critical buffers ADHD Adults need. And, while planning may not be your strong suit now, it is possible to strengthen this muscle. While there is no easy answer or one right way to do this, the key is to review and plan on a regular basis — weekly and daily. And, as you do this consistently, the pull of immediate gratification (doing whatever catches your attention in the moment) will weaken. You will not be overwhelmed with information running around in your head. You will no longer try to rely on your memory, which you know is notoriously unreliable. You will be more confident you are not letting tasks fall through the cracks. You can be sure you are doing what is important to you, rather than whatever pops up — you will be more proactive, rather than reactive. Is this how you sometimes start your tasks now? have what you need to do the task. understand how to do the task. And, because of this uncertainty, you may end up putting off the task — procrastinating. The key is to take the time to make sure you are ready to work. Remind yourself that getting ready to work is part of doing the task. All of the above strategies to add buffers to your day will help reduce your overwhelm. Choose one and try it. After you see how helpful it is, you may just be more willing to try the other strategies. Do You Have Trouble Following Through? 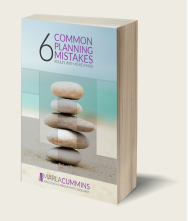 Get your FREE special report now and learn about Six Common Planning Mistakes Adults with ADHD Make (and how to fix them). You'll also receive ADHD management tips in the ADDed Perspectives Newsletter. I've never felt as hopeful as I am now. Marla's reassuring voice and straightforward manner helped me to internalize a consistent approach to each problem. Before I was frazzled, couldn't do what I needed to do and felt like a fraud professionally. When things weren't working before I saw it as a personal failing. We figured out what I needed to do. And now stuff is not falling through my fingers and I'm not surprised by things that come up professionally. Every accomplishment felt reinforcing. I remind myself when I have organizational challenges now that it is my neurobiology, not me! I don't see myself as defective and am not ashamed anymore. I just think about the next step I need to do to figure it out. Marla has an excellent understanding of ADHD and a great knowledge base of related topics. She was able to expertly guide me through decisions I needed to make and helped me tackle big and small things I needed to do. Knowing I had adhd was only 25% of the battle for me. I’m so glad that I chose to stay committed to coaching. Now that I have more self awareness about myself and my adhd I trust myself to get what I need done. I don’t try to do too much anymore and when I’ve done all I can on my own I’m more willing to reach out for support. My production is way higher than I expected, but I’m also way less stressed and that makes it easier on a personal level at home too. What I gained from working with Marla was invaluable. Marla was consistently supportive, positive and uncritical. I learned to honor the way I work best, and am more accepting of my ADD and other characteristics. Now I ask myself, how can I get what I need to get done without running against my own personality? After learning more about ADD from Marla, I don’t think of my challenges as a personal weakness. This change in my thinking allows me to better handle my challenges by thinking of strategies to manage them, rather than engaging in self blame! Yes, cost was definitely a factor when I decided to work with Marla, but I knew that this is what good professionals charge. Being able to make choices that are right for me and learn strategies that last a life time is invaluable to me. The investment was certainly worth it. From working with Marla, I learned a lot about goal setting, meeting objectives, and doing that as a person with ADD. If you are stuck or frustrated, I would certainly hire Marla as a coach. Before working with Marla I got by by winging it but I was not keeping up with the flow of information and I wasn’t managing my time productively. I was often reactive and overwhelmed. I didn’t even think I could be productive… Identifying where and why I was having struggles and having a person to help me through those was the most helpful. Marla is non-judgemental so when something didn’t go as expected, I felt OK talking to her about it and exploring different options to try. She is a very good listener and is able to give helpful insights and suggestions. I truly enjoy our conversations. The outcome that I appreciate the most is that I feel more in control. Before there was always something I was forgetting to do or follow-up on. Now I think I have much better handle on things. Also, I am able to focus more time on longer term projects so they don’t become a complete crisis when getting close to the due dates. This has eliminated the last minute rush that used to happen all the time. I am also just calmer. When I started to work with Marla I was at a point in my life that I was not satisfied with how my life was going. I wish I had done this earlier! Coaching with Marla was very useful, and also essential. I do not know what I would have done w/o the Sunday night periods of going over the past week, looking forward to the next week, and making a plan. The actual phone check ins on Tuesdays…crucial, to help me get clear, as well as for the simple act of accountability. Marla served as a focal point (as in, ‘oh, yeah, this was what I was doing’), and–at times–as an anchor that grounded things. I can not imagine having had to go through the past 6 months w.o. someone ‘outside’ me, and my life, to help me stay the course. Now, I feel more confident in my abilities, in what I have to offer. I realize I do have options. How freeing! Lastly, but certainly not least, I have a very, very clear sense of my values, and I am using those to guide me, and that helps me to trust in my course. I have a lot more peace of mind, less stress, much less anxiety… I feel that we make progress in every session and always feel more confident that I am learning skills that will help me personally and professionally. I particularly like that I do not feel ashamed when I talk about areas I want to improve. Understanding that I wasn’t broken, and just think about things differently was key. Trying to learn the way non-ADHD people learn was a mistake I have repeated my whole life. I now know what the best environment is for me and can recognize distractions and noise immediately. I am now able to have way more confidence to let go of the recurring thoughts about tasks, because I have tools that remember for me. I drop a lot less balls. In fact, typically, if I don’t do something now, it’s because I consciously lowered it on my priority list. I couldn’t do that very well before. I used to just shut down and drop everything because the stress was so great. That never happens anymore. Thanks again for all your help. Your coaching was probably the best investment I've ever made in me! Together we identified obstacles that were preventing me from truly going after the job that I would be happiest in. I’m balancing a full workload (I currently have 4 part-time jobs), graduate school, and 15-20 hours of training as a competitive cyclist. For a few years, I was having trouble committing myself to finding a new job and this was, in turn, making it difficult for me to work toward my graduate degree. I recently overcame a major hurdle in my progress toward my degree and am in touch with an increasing pool of potential employers. Marla is a time management guru, to be sure, but her most unique skill is her ability to ask questions that help me to step outside of myself for a moment and take a hard look at my motivations and decision making processes. Her questions have helped me to become more independently active in that I now know how to ask myself the kinds of questions that Marla might ask me. Without Marla’s help, I probably would not be as far along in my job search as I am now and would still be far from finishing my degree. Thanks, Marla! Through our work I clarified my goals, identified communication issues, fuzzy planning and established personal accountability. In working with Marla, I received practical organizing and planning techniques, inspiration and empowering suggestions. Marla helped me work with each issue as developing life skills and emphasized personal responsibility. Marla is an excellent coach and compassionate, encouraging mirror. I recommend her without any reservations. The coaching worked so well because it was tailored just for me - not a cookie cutter type of experience. It was exactly what I needed! We identified and worked on my concerns - got at the root cause and figured out what I could do to make it better. I proved I am capable of growth and change. For one, my communication has improved through the different departments and with my own team. My email and task organization are better, too. I have more tools at my disposal to help with my organization which helps me feel more calm and settled, even when things start to get hectic at work. I have tried to be perfect for too long and it was causing me to focus on the wrong areas... I stopped thinking it is always my fault and I've started to develop a thicker skin when I do make a mistake. I can move on more quickly and stay focused on the current tasks instead of worrying unnecessarily. I am more confident in my abilities and I have learned how to stop worrying as often about things outside of my control. Marla did a wonderful job with everything. Everything we worked on I made improvements in! Marla has been tremendously helpful in keeping me “on track” with important and complex projects during a time when I cannot afford to get lost. At the same time, she is helping me realize that while avocational goals are important, so too are relationships and personal fairness. In our last meeting, Marla helped me begin to tackle a lifelong misapprehension of time and how to gain control of it. More important than problems solved is my greater confidence in addressing problems and trying to solve them, rather than simply quitting because no resolution is apparent. Marla offers a non-judgemental, objective appreciation for the large and small difficulties and success that are not apparent to myself, and a way to order these things so that they can be confronted and appreciated, respectively. She has helped me see what appear to be insurmountable problems as just small impediments. Specifically, she has goaded me into making phone calls to people that I didn’t think would want to hear from me, and to do everything to keep communications channels open. She has also helped me by keeping a focus on the challenge I feel in organizing and constantly reviewing how to strike a balance between letting my schedule get out of control and focusing too intently on it and thus losing track of the bigger picture. Marla’s support was critical in reducing anxiety after receiving the diagnosis of ADD. She imparts information in a warm, impartial, professional manner. Marla is always on your side and willing to work at your pace. At the same time, she challenges you to think about your daily decisions and how they impact your life, and your options for change, should you desire it. Marla helps you identify, prioritize, and focus on weaknesses in a nonjudgmental way and plants the seeds of ideas for you to follow up on, either immediately, or in the future when you’re ready. Above all, she compliments your strengths. ...while working with Marla, I have been able to move into a career that I have always wanted to be in. I spent many years with undiagnosed ADD not knowing why I had such difficulty with staying focused, starting projects and having difficulty finishing them, unable to prioritize what I needed to do in my life, and many of the other symptoms. I finally sought help through a physician who recommended taking medication. It was also suggested I find an ADD coach to help me re-learn new ways of managing my ADD. I contacted Marla, and after the first conversation I felt comfortable enough to give the coaching a try. After a few sessions working with Marla, she was able to help me start developing the goals and tools I needed to start clearing the clutter in my life. Today using the different techniques that I have learned while working with Marla, I manage my time more efficiently, and complete projects to the end. It is good to know that you do not need to make the journey alone with ADD. I look forward to working with Marla now and in the future. Marla was my second coach. The first one did not really help me, so I was kind of skeptical. Marla’s help was astonishing. After only a few calls she seemed to have me figured out pretty well. She called me on empty promises, pushed me just enough never too much, and together we came up with tools that actually work and which I actually use. She has an uncanny ability to know how far she can push me without ticking me off. Thanks to that I never felt pressure to lie about or excuse what I had done or how I was doing. After living with ADD for many years I started believing that I was lazy, stupid, and crazy. Marla was able to convince me that I was none of these by helping me solve small issues and get a track record of success. Once those things were accomplished, many of the pieces sort of fell in to place.